This book was originally published in 2002. Elastic proteins occur in a wide range of biological systems where they have evolved to fulfil precise biological roles. The best known include proteins in vertebrate muscles and connective tissues, such as titin, elastin and fibrillin, and spider silks. However, other examples include byssus and abductin from bivalve molluscs, resilin from arthropods and gluten from wheat. 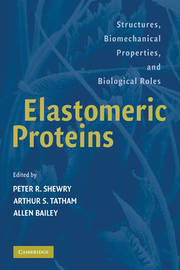 Interest in elastomeric proteins has been high for several reasons. Firstly, their biological and medical significance, particularly in human disease. Secondly, the unusual properties of proteins such as spider silks provide opportunities to develop materials. Thirdly, the development of scanning probe microscopy makes it possible to study structures and biomechanical properties of these proteins at the single molecule level. 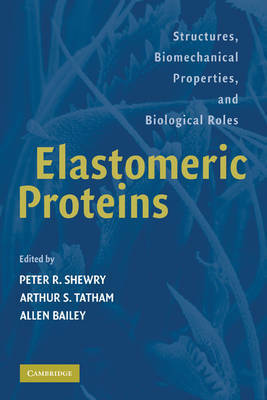 This book will be of value to anyone with an interest in the various aspects of elastomeric proteins.